Some of you are excited to be here and preparing for your session. And some of you would rather have a root canal. But either way... I promise you will end up having fun. I get it. Some of you are probably uncomfortable in front of the camera or you don't think you are perfect enough, or even pretty. I tell you what...you ARE enough and I will prove it. I promise to put you at ease so that you will forget any insecurities. I have been doing this for over 24 years. So I know how to pose you to make you look your best. I will help guide you through posing and expressions. I know how to edit to make you look your best natural self. I will zap those zits and whiten those teeth so you can concentrate on just enjoying yourself. It is very important that you take a few moments and go through this information. I have created it because it is important to a good and successful session. As you begin to plan for your day and what you will wear, please refer to the what to wear and what not to wear portion of this guide. It is extremely important to wear the right clothing to help make sure your portraits are timeless and beautiful. Make sure all haircuts or color is done a week or two before your session to give it time to grow out a bit and settle in. If you are planning on being in the sun and getting color. Be sure to watch for burns and tan lines. Fixing tan lines in photoshop is an extra fee. A little bit of color is great, but too tan might not look good in photos. Make SURE all of your clothes are pressed and on hangers (and not bunched up in a bag). Wrinkles will show and will not look good. Put all coordinating accessories in a baggie and hang on hanger with each outfit. Girls... it is important to have the right under-thingys for your outfits. So try them each on and have everything ready. Make sure you like how you look in each outfit from different angles. Feel free to go through my galleries and screenshot some of your favorite poses. While I will be working with my style and vision... it is often helpful to see what you like. You can also email or text those images to me before your session (info on contact page). Please use lip balm generously a week before the session to avoid chapped lips. Get a good night sleep before the session so you will look rested. We will meet at the scheduled location at the scheduled time and take a few minutes to go over your clothing choices and answer any questions you may have. We will decide a plan, get you in your first outfit and get started! You do NOT have to come in one of your outfits. We will change into your first outfit once I take a look at everything and make a plan. Once we start shooting, I will help guide you through the entire session... no need to worry about what you are supposed to be doing. I don't expect you to know how to pose or what to do. I just want you to relax and enjoy your session. Since this session is for you... I want you to feel free to bring up any ideas you may have. Most locations have some type of restroom nearby for changing outfits. If not, I have a way of making a private outdoor changing space. If you are really really shy about things like that... let me know ahead of time and i can bring a camping changing room. We will do a few traditional shots as well as some more fun and playful images too. Those are the ones that really bring out your personality. I work to get a variety of images in each outfit. I will need another person to join you for your session. If one of your parents will not be able to make it, maybe try to bring a friend. It is always helpful to have someone on hand to hold the reflector. If you prefer to come alone... that is fine too. Now you can relax...you DID it! The hard part is over. Your minimum order will be paid after your session so that I can get started on editing and creating your private online gallery. A couple days after your session I will post a sneak peek on Instagram. I will urge you to share it (please tag me @anniemarieseniors) I will also post one to Facebook which can also be shared. I urge parents to share as well! About a week after your session, I will create your gallery and send you an email with a link and password. Your gallery will be up and active until the end of your senior year. Use my styling idea boards as a guide to help you pick out the right looks for your personality and style. Includes a shopping guide for each look!! For both gals & guys. Check out these suggestions and images of real seniors that got it right. Details on choosing just the right outfits for your session! For gals & guys. 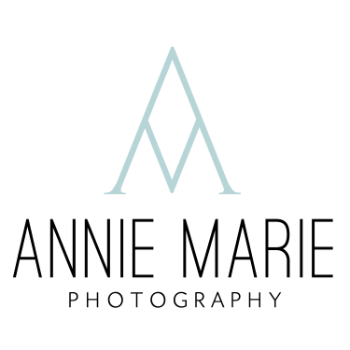 Whether you need just a fun accessory to complete your outfit, or want a complete look.... Annie Marie has an extensive teen style closet that is for full use to her clients. All you need to do is ask. There is everything from trendy outfits, jackets, dresses, hats, shoes, scarves and jewelry. She also has a large glamour closet with tons of dresses that are short, long, classy, flowy and glittery. She even has a few classic items for guys. Leather jackets, blazer, vest, retro shirts and basic t-shirts. If you are interested in borrowing any items from the style closet... simply let Annie know and together you can accessories your outfit or choose a complete look for your senior. She also offers a FREE styled session add on but that look is chosen by Annie Marie and may not reflect your personal style. She uses these sessions to try out new looks, poses and techniques. But they're FREE. These sessions need to be booked at the same time as your regular senior session. Feel free to take a peek at some of the styled sessions Annie has done with her Model Crew. Almost all of these outfits are available for use. Use the link below to check out that gallery. WHAT HAPPENS IF IT RAINS OR IF I DON'T FEEL WELL? This can and sometimes happens... not to worry. If you are not feeling well, you won't be yourself and I would rather reschedule. If it looks like rain.. we will watch the weather up until a couple hours before the session. We will reschedule for rain but overcast is fine. Good question and I don't have a good answer... there are a lot of variables that will be a factor such as moving around at our location, how long it takes to change outfits, setting up shots & shooting. I don't work sessions by time, but by capturing the images we need. But here is an idea of what you should allow in your schedule for time. Yes. I have different options for digitals. I offer 1 FREE watermarked web sized file once you place your order. I have an amazing phone app that you can add on to your order where I can add all of the images from your order. That way you will always have them with you and you can share them at any time. I also have options for large digital files and collections with print rights. CAN I SHARE PHOTOS ON INSTAGRAM AND FACEBOOK? Yes! I LOVE that you share your images!! I will be posting sneak peeks after the session of my favorite image/s from your session. I would appreciate if you would share to your page and tag me at @anniemarieseniors. Parents are also very welcome to share images on Instagram and Facebook. WHAT IF I HAVE A BREAKOUT RIGHT BEFORE MY SESSION? No worries!! Like I have said before, I edit every single image that the public will see. I will zap those zits so fast you will forget you ever had them. But rest assured that I will edit all images, so don't worry about breakouts or sports bruises. We ARE human after all. CAN I BRING A FRIEND TO THE SESSION? This is YOUR day. I want the focus to be on you. I don't mind if you bring a friend if one of your parents can't come along as they can help with holding the reflectors and get you what you need. However, I would prefer they don't come if not needed. As fun as friends can be, they can be quite distracting during the session. CAN WE TAKE CELL PHONE PICTURES DURING THE SESSION? Here's the deal. I don't mind someone taking behind the scene photos now and then. What i don't want is a parent taking photos over my shoulder of the posing and set ups. That wouldn't be fair to me, but BTS and for fun Instagram stories... that is fine with me! Go check out my latest blog post and featured senior sessions! Keep up with my latest session or promotion! This is where the fun happens. Keep up with all the latest sessions & stories!